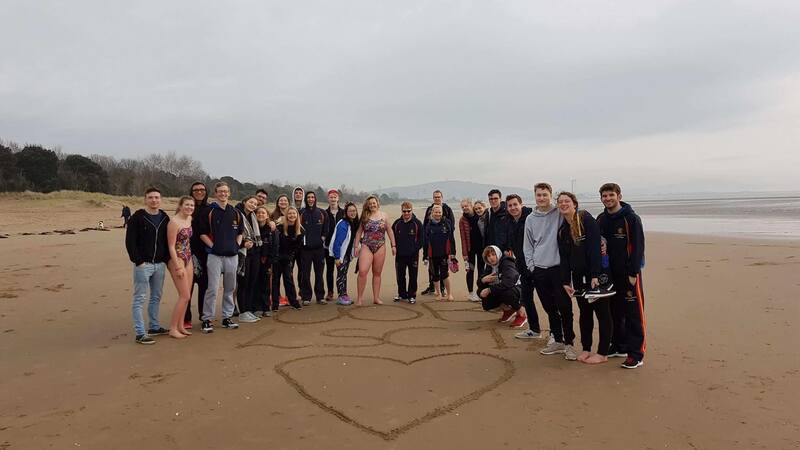 On the 30th and 31st of March, University Lifesavers from across the country (and continent) came together for the annual BULSCA Lifesaving Championships. 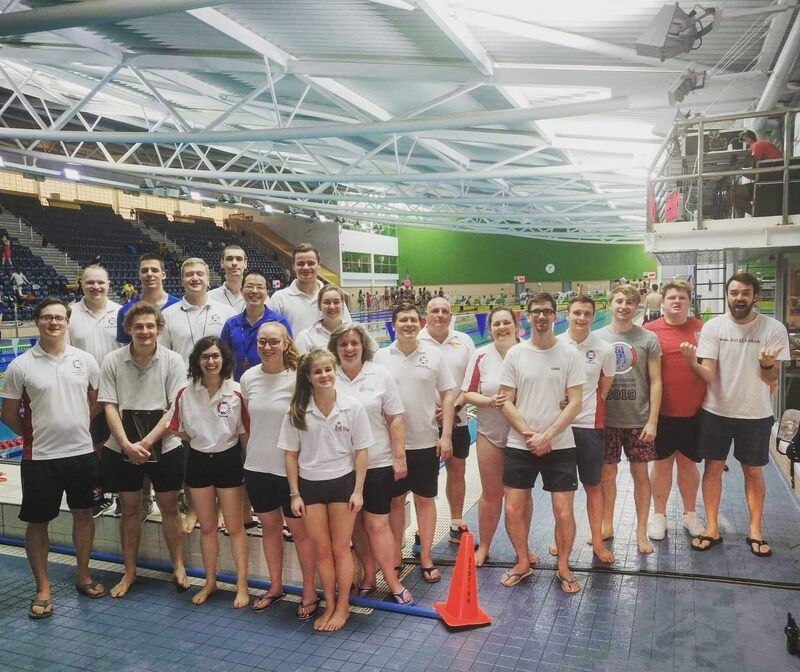 This is the only University Lifesaving competition to span an entire weekend, with individual speed events being held on the Saturday and the usual team SERCs and relay events taking place on the Sunday. University clubs can enter a squad of 6 males and 6 females, as well as individual competitors for Saturday and individual teams for Sunday. 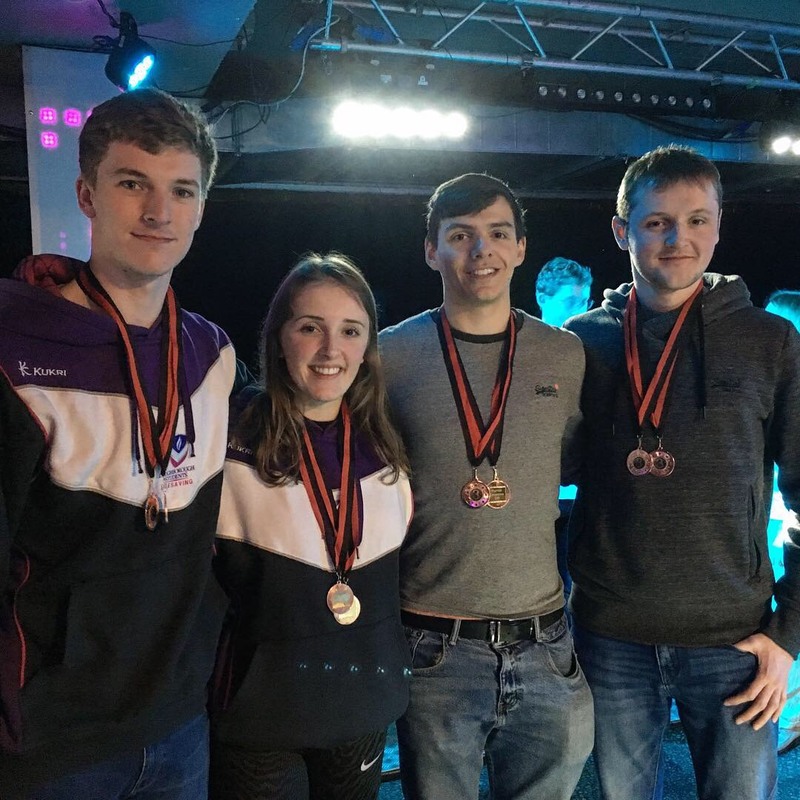 The Squad members competed across the weekend for the lowest number of points (eg 1st wins 1 point, 2nd wins 2 points etc), which are accumulated to result in the overall scores and winning squads of Saturday, Sunday and the overall weekend. Tie breakers are decided with the highest number of 1st places, then 2nd places etc. For the first time, we welcomed a team from the University of Athens, who travelled from Greece to participate in the competition. We’d like to thank and congratulate them for their efforts and results from the weekend, and hope that they enjoyed themselves enough to return in the future! The Championships Coordinator, Tom Sharp, did an amazing job – another huge thank you to him for putting on a great competition which ran with very minimal issues. Thank you to the other BULSCA committee members for their input with the event organisation, the scorers who never have an easy job and the many judges and helpers who worked very hard on both days to ensure the competition ran as timely as possible. A final thank you to the head referee, Michael Jacklin and deputy referee, Felix Ng. Without this fantastic team of people working behind and in front of the scenes, we all couldn’t have had the enjoyable weekend that we did! In the women’s 4x10m Line throw relay, University of Sheffield won with a time of 1:33.83, Lougborough University in 2nd with 1:37.23 and University of Birmingham came in 3rd place with a time of 1:44.51. Women’s 12.5m line throw: 1st Isobel Briggs (individual) with a time of 15.26 seconds; 2nd Victoria Huntingford (individual) - 15.68 seconds; 3rd Emma Smith (pictured below) from the University of Birmingham - 17.90 seconds. Men’s 12.5m line throw: (Pictured Below) 1st Adam Ridsdale (center) from the University of Bristol, with a time of 10.92 seconds and setting a new student record; 2nd Alastair Sanders (right) from the University of Birmingham, 13.04 seconds; 3rd Mike Ducker (left) from the University of Warwick, 15.40 seconds. Women’s 200m Obstacle: (Pictured below) 1st Keelan Fitton (center) from Loughborough University, 2:29.09; 2nd Rhianna Field (right) from Loughborough University, 2:35.60; 3rd Emma Smith (left) from the University of Birmingham, 2:40.51. Men’s 200m Obstacle: 1st Rhys Wydenbach (pictured below, left) from the University of Swansea, 2:17.80; 2nd Mark Ward (pictured below, right) from Loughborough University, 2:18.82; 3rd Alex Davies from the University of Swansea, 2:21.30. Women’s 50m Manikin carry: 1st Emma Henderson from the University of Ulster, 36.77 seconds; 2nd Jayne Stallion (individual), 38.84 seconds; 3rd Elizabeth Scammel (pictured below) from Loughborough University, 39.89 seconds. 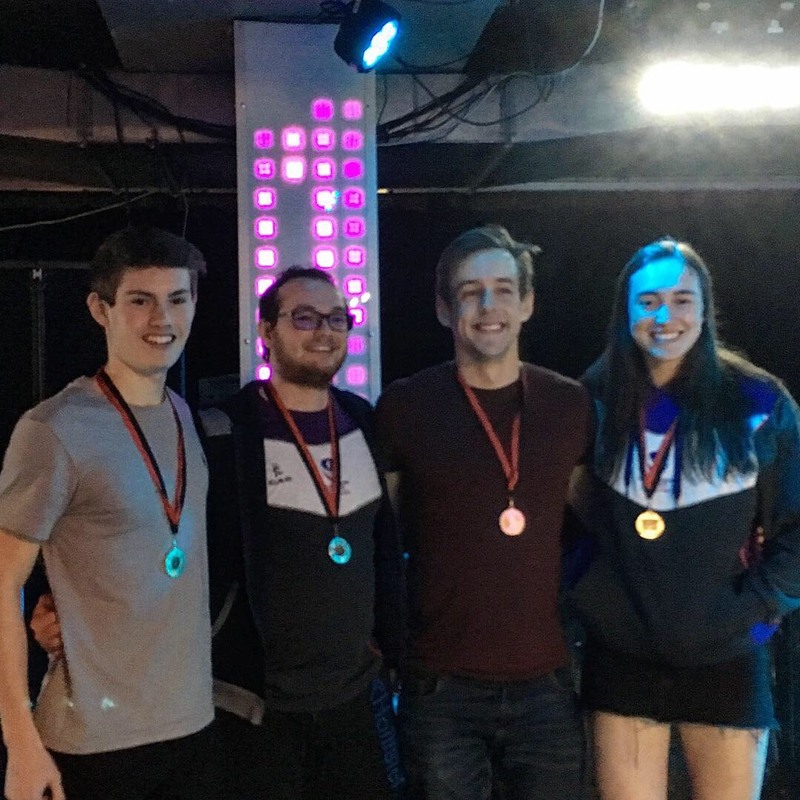 Men’s 50m Manikin Carry: (Pictured below) 1st James Blaby (individual, center), 30.77 seconds; 2nd Samuel Kirkland (left) from Loughborough University, 32.34 seconds; 3rd Rhys Wydenbach (right) from the University of Swansea, 34.40 seconds. Women’s 100m manikin carry with fins: 1st Emma Henderson from the University of Ulster, 58.45 seconds; 2nd Jayne Stallion (individual), 1:00.52; 3rd Elizabeth Scammell (pictured below) from Loughborough University, 1:00.62. Men’s 100m mankin carry with fins: (Pictured below) 1st Samuel Kirkland (right) from Loughborough University, 50.19 seconds; 2nd Oba Wayiaki (not pictured) from the University of Warwick, 57.50 seconds; 3rd Mike Ducker (left) from the University of Warwick, 57.77 seconds. Women’s 100m Rescue Medley: (Pictured below) 1st Alice Quinn (left) from Loughborough University, 1:26.89; 2nd Keelan Fitton (right) from Loughborough University, 1:28.19; 3rd Victoria Huntington (individual, not pictured), 1:34.53. Men’s 100m Rescue Medley: (Pictured below) 1st James Blaby (individual, center), 1:02.83; 2nd Rhys Wydenbach (right) from the University of Swansea, 1:14.85; 3rd Mark Ward (left) from Loughborough University, 1:16.23. Women’s 200m Super lifesaver: 1st Emma Henderson from the University of Ulster, 2:35.14; 2nd Jayne Stallion (individual), 2:43.00; 3rd Elizabeth Scammel (pictured below) from Loughborough University, 2:43.17. 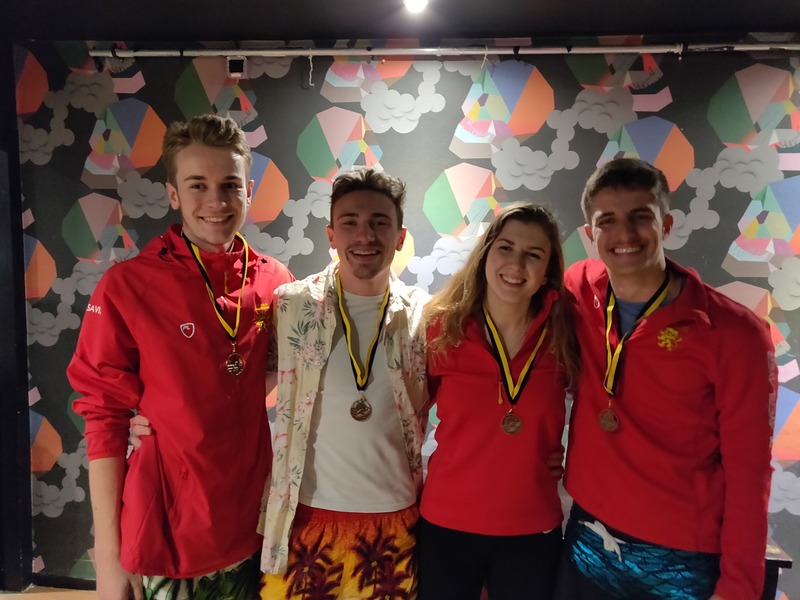 Men’s 200m Super lifesaver: (Pictured below) 1st James Blaby (individual, center), 2:16.91; 2nd Samuel Kirkland (right) from Loughborough University, 2:19.22; 3rd Mark Ward (left) from Loughborough University, 2:36.45. Women’s 100m manikin tow with fins: (Pictured below) 1st Jayne Stallion (individual, not pictured), 1:04.86; 2nd Emma Reilly (right) from the University of Warwick, 1:08.07; 3rd Emily Goodwin (individual, left), 1:08.65. Men’s 100m manikin tow with fins: 1st Jason Grice (pictured below) from the University of Bristol, 1:02.08; 2nd Callum Briggs (individual), 1:02.33; 3rd Oba Wayiaki from the University of Warwick, 1:01.50. 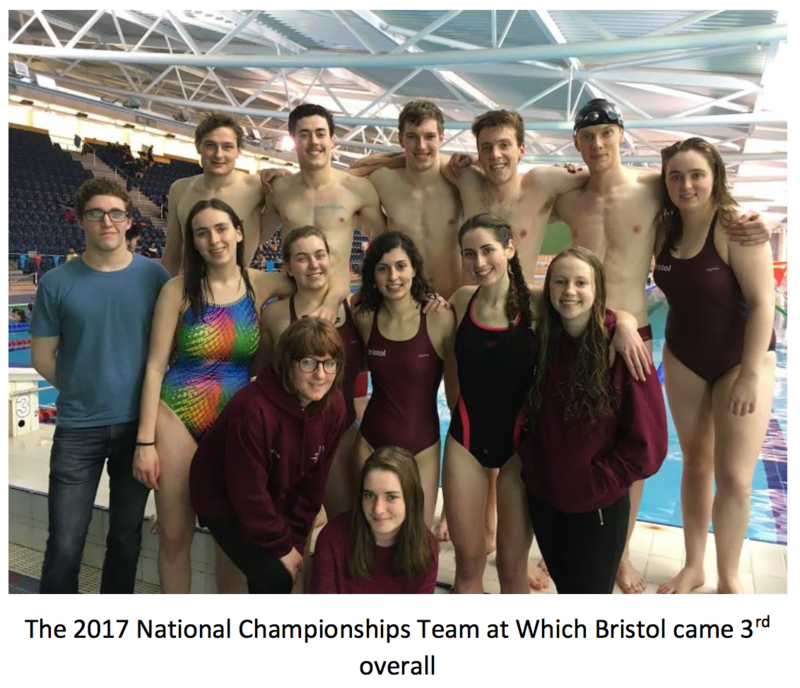 For the overall speed points for the women’s squads, the University of Birmingham came in third with 36 points, the University of Warwick in second with 31 points and the squad from Loughborough University in first with 18 points. 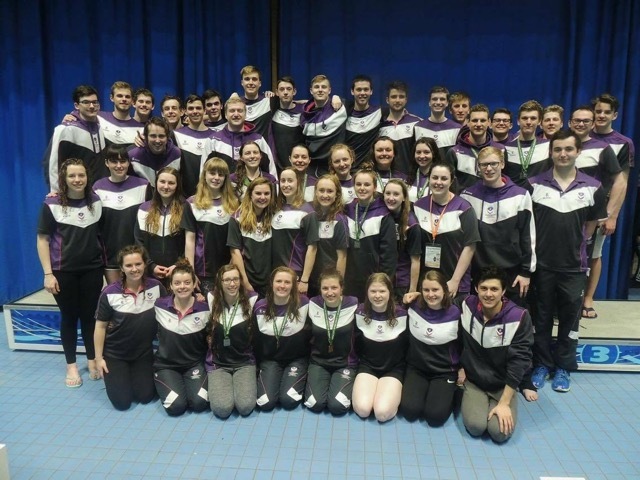 For the men’s squads overall, the University of Birmingham came third with 40 points, Swansea University second with 30 points and Loughborough University first with 30 points. 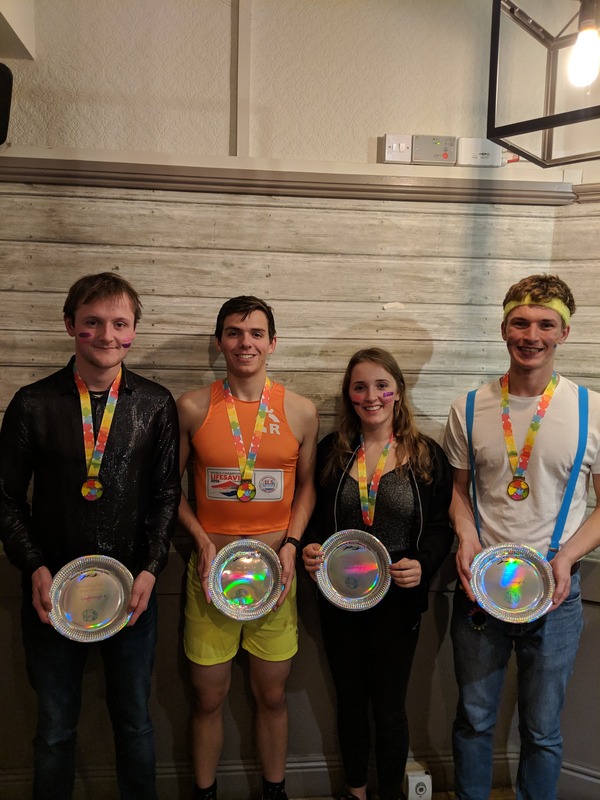 With combined points, the University of Warwick squad came third with 81 points in the speeds, University of Birmingham second with 79 points and University of Loughborough first with 49 points. 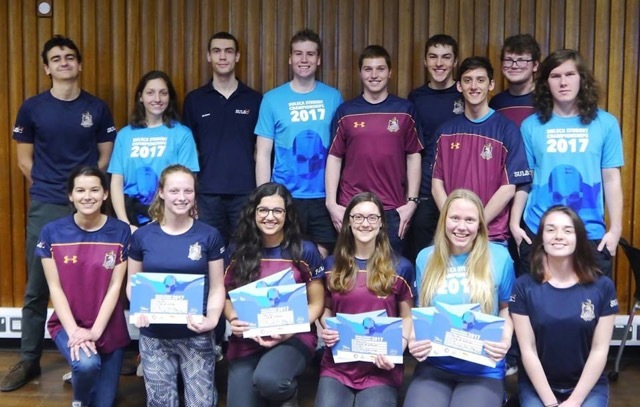 The day’s participants were treated to a meal and evening at JC’s bar on the University of Swansea campus for those who wanted it, and after a night’s rest the teams reconvened on Sunday morning for day 2 of the Championships. At the start of the day, all teams were required to go straight into isolation while the SERCs were set up and judges and casualties briefed. Fortunately the weather was dry and pleasantly sunny, as the dry SERC was set outside in the sport centre car park. The SERC was an incident involving a driver who had hit a pedestrian due to being distracted by a mobile phone. As a result, the driver went into shock, the pedestrian who was hit was suffering from a head bleed, a bleeding broken leg, internal bleeding indicated by stomach pains and unconsciousness and there was a bystander who as left panicking at the situation which unfolded in front of them. The team could find the travel first aid kit in the boot of the car, and use live communications on a mobile phone to score their phone marks. 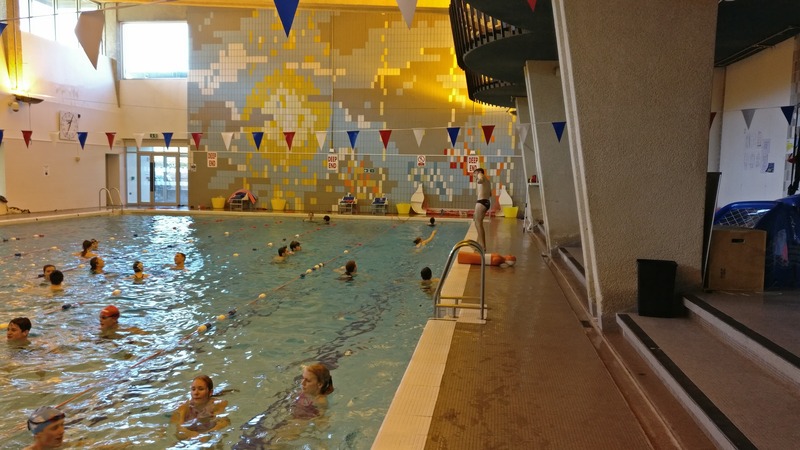 After finishing their dry SERC and repacking their first aid kits into their original containers, the teams were escorted into the pool to complete their wet SERC. In the wet SERC, the team were taking a walk around a lake with a travel first aid kit in a bag given to them before the start, where there was a triathlon taking part the same day. When the team decided to stop for a picnic, they were presented with the scenario in which they had 2.5 minutes to score marks. 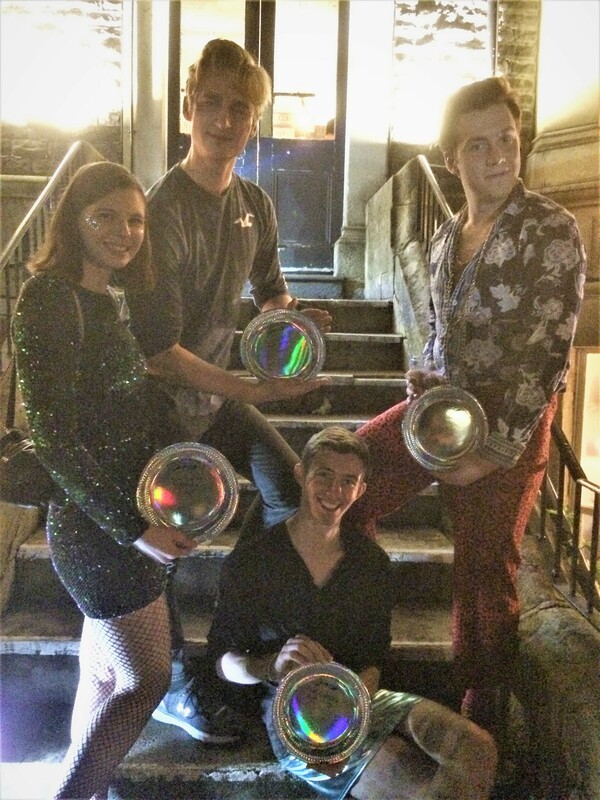 The top 4 places overall for this event were closely contested, with 2 points between 1st and 2nd place, and only 1 point differentiating 3rd and 4th place. Loughborough A came 1st, Bristol B 2nd and Warwick A 3rd. Birmingham A scored the most marks from the overall judge, with Birmingham 2 A scoring the second highest number of marks from this judge by only half a point. However, the captain from Athens B scored the best Captaincy mark. The communications device was live in this SERC too, where the team used a radio to contact the central safety management team for the triathlon to give information about the casualties and request and ambulance. Loughborough A scored the most phone marks. As the team entered the SERC into the ‘picnic area’, they were presented with their first 2 casualties: someone suffering from a heart attack, in which Bristol D scored the most points for, and a triathlete who had climbed onto the lake bank, vomited and gone unconscious; Sheffield B scored the most points for this casualty. In the ‘lake’, there were 2 hypothermic, non-panicking swimmers, a seizing casualty in a kayak and a swimmer with a grazed shoulder entangled with a buoy in an area in line with the picnic area. Further down the lake there were 2 panicking swimmers who were locked, another panicking swimmer holding onto a rescue board, a confused swimmer with a head bleed and an unconscious body on the bottom of the pool, who was attached to the leash of the rescue board. In the rope throw relay, 13 out of the 25 competing teams got all 4 team members in. Birmingham B finished in the fastest time with 1:34.56, Birmingham A were fractionally close behind in second with a time of 1:34.67. Warwick A finished in third with a time of 1:37.15. The final event of the day was the swim and tow relay. Loughborough A finished 1st with a time of 6:04.44, Loughborough C 2nd with 6:32.53 and Loughborough B 3rd with 6:36.60. With the Sunday event results combined, Birmingham A were third overall, Warwick A second and Loughborough A first. The weekend was finished with a results presentation of the weekend’s events and overall winners. Well done to all competitors from over the weekend! The full results with all placings of speeds events, and spreadsheet of the Sunday results can be found over on the Championships Results Page. 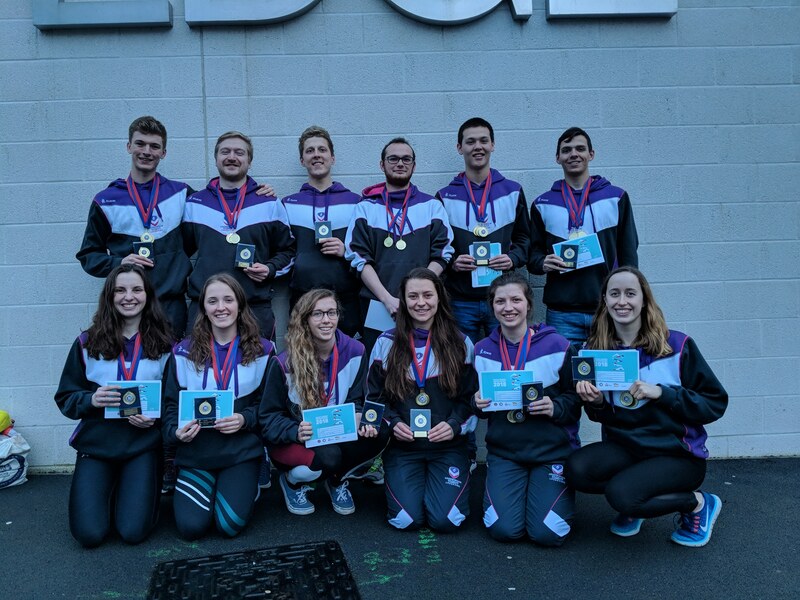 With the combined results from both days of the championships, the overall winners were the squad from Loughborough University! 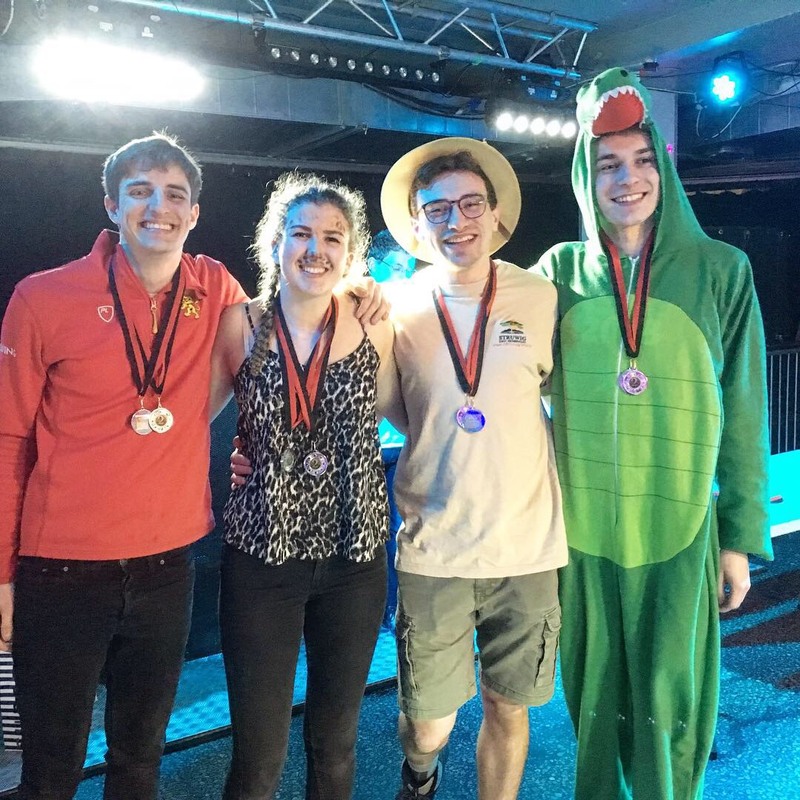 The squad from the University of Birmingham were second overall and, after winning the tie break with the University of Warwick, the squad from the University of Bristol were third overall! Ragley Crawl was an RLSS open water festival held in Warwickshire in May. 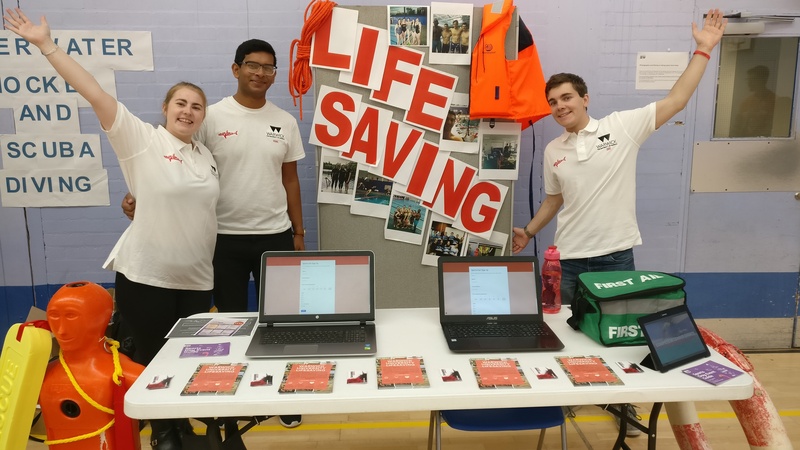 Several members of the University of Birmingham Lifesaving Club went to volunteer for the festival and would like to share their volunteering experiences. Four members of the BULSCA Committee attended the RLSS UK Conference 2017 in order to learn more about how to engage members and promote lifesaving, both within BULSCA and externally. Their thoughts on the workshops provided and the conference as a whole are given in this article. We would like to invite you all to the BULSCA Student Championships 2018! The Pool Lifesaver Relay Event has been added. The specification for this event can be found here: http://www.rlss.org.uk/wp-content/uploads/2017/09/RLSS-UK-National-Speed-Championships-2018.pdf (Paragraph 2.19). As in previous years, the Championship rules will be released prior to the event. The Pool Lifesaver Relay will be conducted as a mixed gender event and there will be two males and two females in each team. The Event Management Committee will undertake a draw to determine the male and female legs of the race on the day. Please enter your time for this event as your best time (e.g. your ideal team). The RLSS have an annual ceremony to give thanks to some of the most dedicated and long-standing volunteers within this organisation. 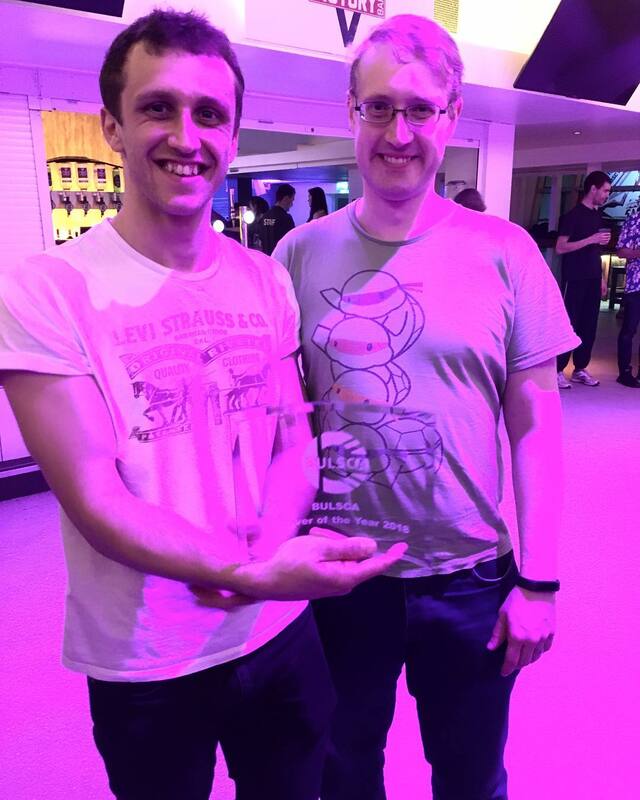 This year, three members of BULSCA received awards. 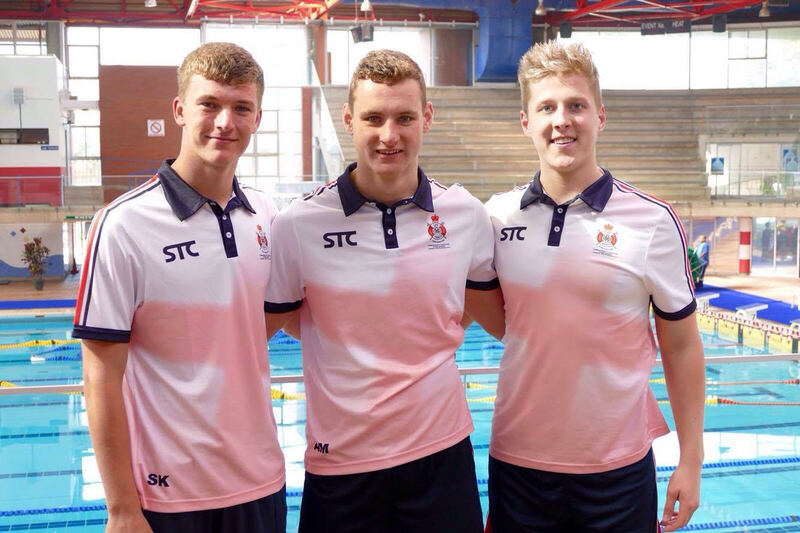 This summer, Loughborough Students Lifesaving Club were proud to announce that three of their athletes had been selected to represent England in the Commonwealth Festival of Lifesaving in Durban, South Africa. 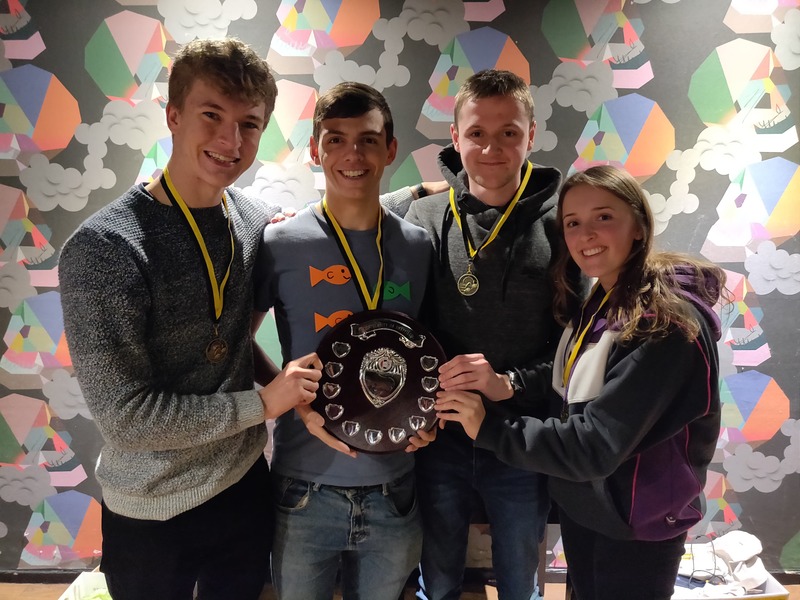 Richard Evans, BULSCA alumni and judge has written the following competition report detailing the events of the BULSCA 2018 Student Championships. Loughborough Competition will be held on Saturday 28th April. Everything you need to know about Bristol Competition 2017! Sheffield Competition 2017 report can be found here! Another year of exciting competition is over, with some great SERCs and exiting swim and tow races. Congratulations to all teams and competitors who took part this year, and of course to all competition organisers, judges and helpers who make BULSCA competitive seasons possible! Loughborough A team with the A League and Loughborough competition trophies. Loughborough B team with the B League trophy. 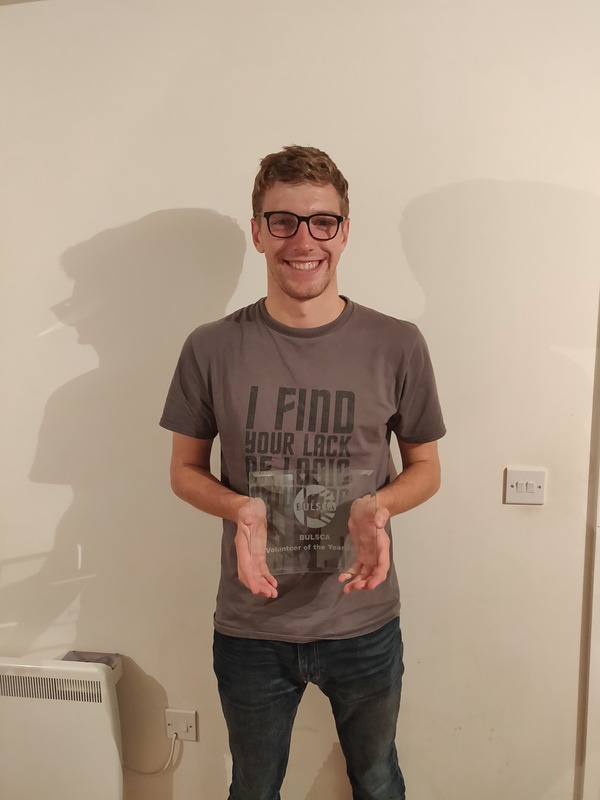 The competition report for Warwick Competition has now been uploaded - enjoy! This page contains all the information needed for the BULSCA 2018 AGM. Some information such as the agenda will be published at a later date so keep checking back for more information. 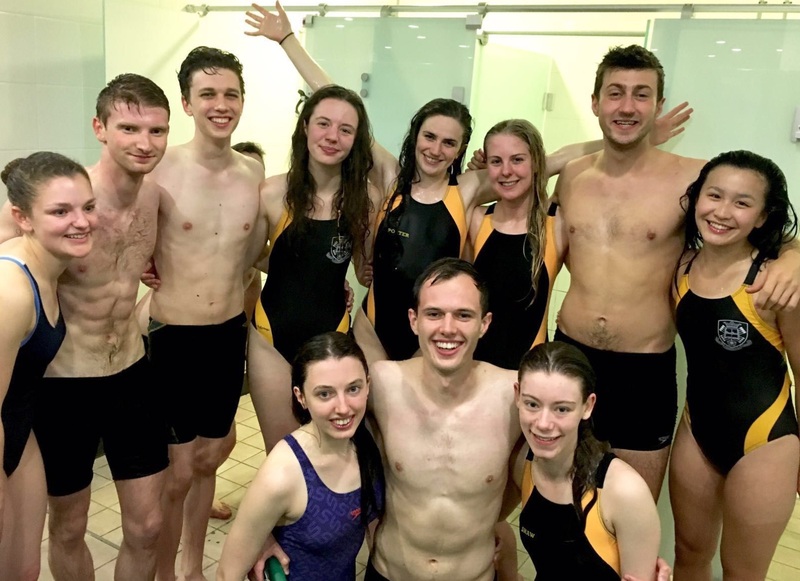 The 28th April 2018 saw the final league competition of the year held by Loughborough University Lifesaving Club. 25 teams entered from 9 different clubs, this was the last chance for teams to gain points towards the A and B league tables! The competition began with a very dark dry SERC, which was set at night time with one member of the team entering the scene carrying a first aid kit 40 seconds after everyone else. Casualties included unconscious breathing and non-breathing, an asthmatic, choking, fractured foot, someone with another fracture and bruising, a bleeding knee and someone stuck up a. Only one team, Birmingham A, was awarding marks for treatment of the bruises. Loughborough A scored the winning number of marks, Loughborough D came second and in third place was Birmingham C.
Effective communication was weighted very heavily, which was to be expected considering that the ability of sight was more or less removed. Both teams from Sheffield proved that they like talking to each other, as they each scored the highest mark awarded for this element. As always, the wet SERC followed shortly after with the added bonus of a first aid kit upgrade (full as apposed to the travel sized required for the dry). Set at a hotel beach, the team entered on a sandbank where a casualty with a bleeding hand was sat. After swimming across to the beach they would find an unconscious non breathing child hidden behind an umbrella along with said first aid kit, a bag containing various items and a folded towel in which a phone could be found (or thrown into the water in the case of Bristol B) if unravelled. Casualties in the water included an asthmatic, body on bottom, a seizing casualty, non-swimmer, weak swimmer and a guy chilling on a big floaty rubber ring, complete with sun glasses. 6 out of 25 teams made a phone call, with 112 being the magic number; Birmingham A scored the most marks for their phone call. Overall, Loughborough C scored the most marks, Loughborough A came in second and Birmingham A followed closely behind in third place. 7 teams were successful with getting all of their casualties in during the rope throw; Birmingham A took first place with a time of 1:25.53, almost 10s fast than the prior competition! Loughborough B came second and Loughborough A third in this event. 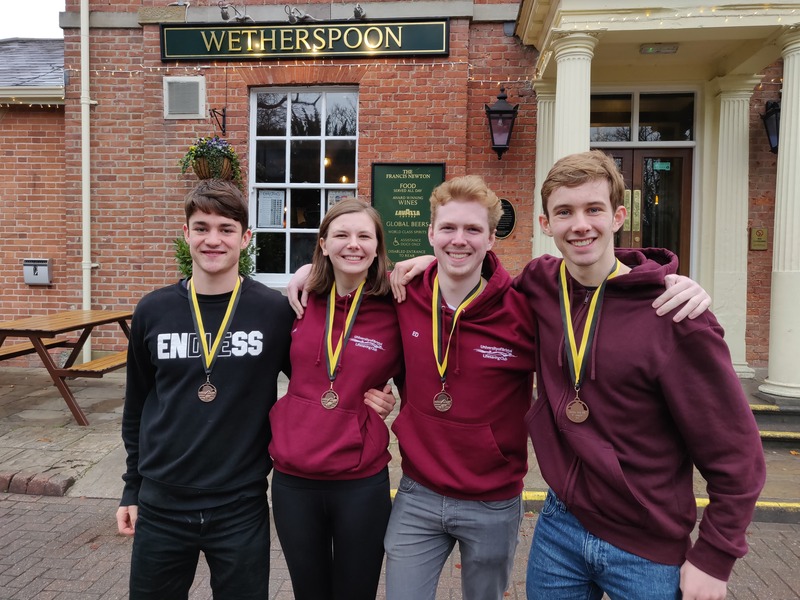 The second speed event, medley relay saw Loughborough A as the winners, achieving a time of 1:44.19, followed by Loughborough E in second and Loughborough B in third. The final league event of the season was the trusty swim and tow, everyone’s most anticipated relay! 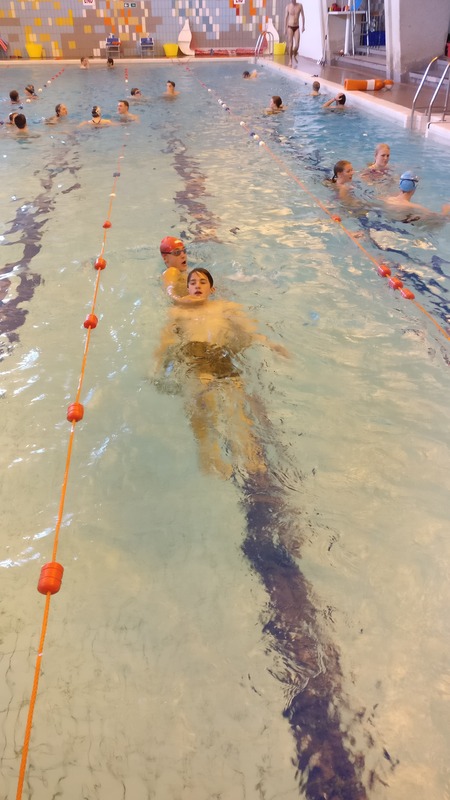 Teams should know the drill by now: float a couple of lengths, swim a couple of lengths and tow a person a couple of lengths – not in that order for the first swimmer who gets a diving start. Loughborough A came first with a time of 6:03.29. Loughborough C came in second and Loughborough B were third. But the competing portion of the day was not quite finished! Some extra pool time allowed for a friendly 4x50m freestyle relay and a judges rope throw whooo! Ben proved that he still has it, despite his rope throw record being beaten at champs earlier this year, with a winning time of between 11-12 seconds. Second place in judges rope throw was about 15 seconds. Announcement of the competition results followed fish and chips. 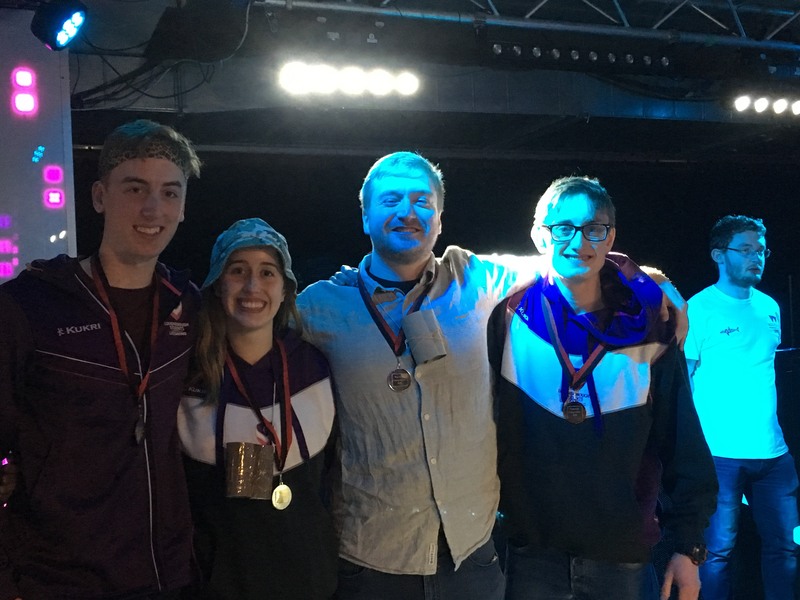 Medals were awarded to the top three teams in their respective A an B leagues, with Bristol A and Loughborough C taking home bronze medals, Loughborough D and Birmingham A taking silver and finally taking the gold medals were Loughborough A and Loughborough B. In terms of overall results, Loughborough A came first, Birmingham A second and Loughborough B third. Loughborough A were also awarded their competition trophy (because they were the winners). The final A and B league results were also announced, as this was the last competition of the year! The league trophies were presented to the overall winning A and B league teams from the whole year. 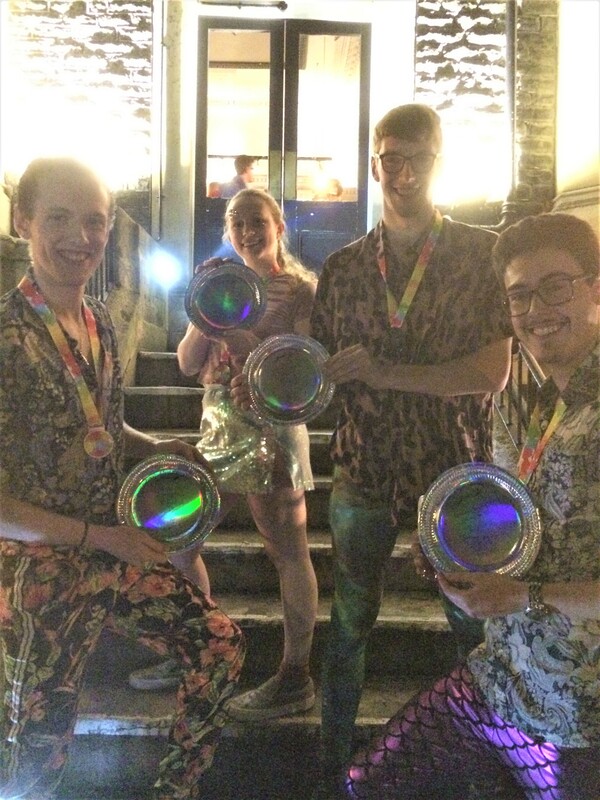 Loughborough took away both trophies, proving a very successful competition, and year, for them – congratulations! The final league results for the year can be found on the website under ‘competitions – League results’. Of course, the day was topped off with celebrations by all at an excellent social complete with wavy garms. Congratulations to George and the rest of Loughborough for hosting another fantastic competition which was thoroughly enjoyed by all in attendance! Congratulations to everyone who has competed, helped, bodied and judged at any one or all of the competitions this year – you’ve all worked hard and it definitely goes to show when the standard of competition and running of competitions is so high! Congratulations to everyone who is graduating this year, we hope to see you back in future competitions fulfilling a different role to competitor! Good luck to everyone with any exams you may have, see you next year along with your new freshers (some of whom will have been born in 2000…)! The annual RLSS UK Conference was held last weekend, 30th June – 1st July at Hinckley Island in Leistershire. 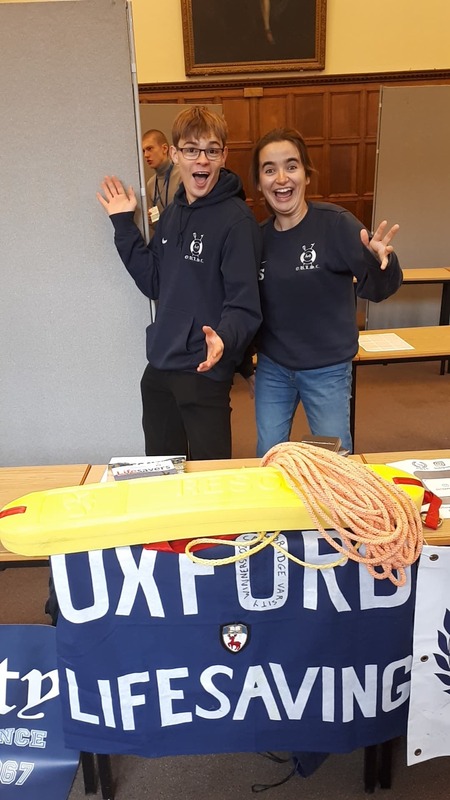 Three members of the BULSCA committee attended with sponsorship from the Avon and North Wiltshire and Wessex RLSS UK branches, and were able to represent both their branches and BULSCA. A few things were presented and shared at the weekend which may be relevant to BULSCA clubs and members, which have been noted down and will hopefully be of use! 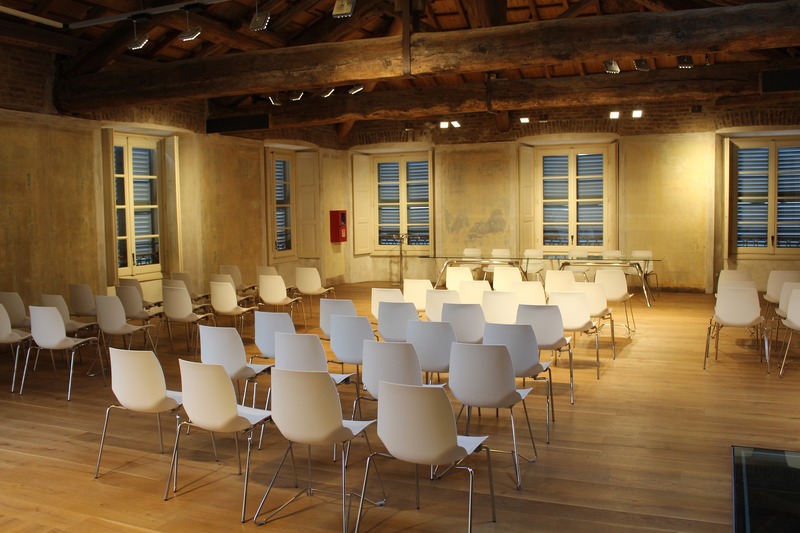 Once power point presentations are made available to attendees, we will do our best to share these with you also. RLSS UK is conducting a big review on the awards that they offer, as well as introducing the new Water Smart Award. 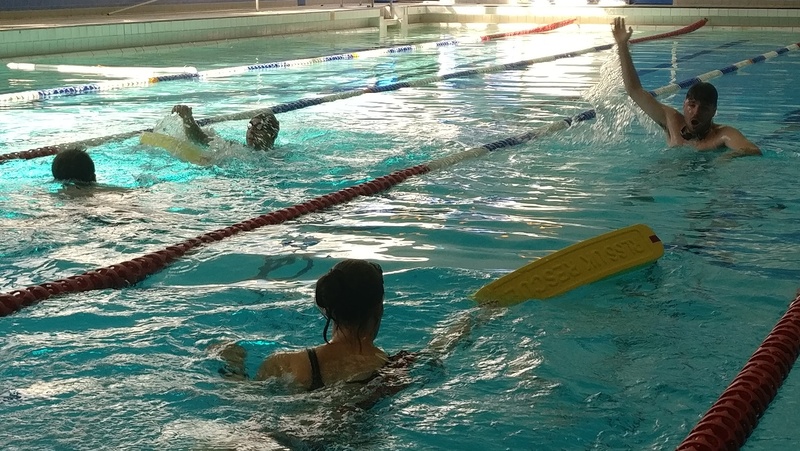 Feedback showed that a national water safety standard, accreditation for existing awards, a dry side award and an award for under 8’s were all things that society members would like to see in terms of awards from RLSS UK. Following the development of the Water Smart Award, as discussed later, the next stage of the review will focus on the future of Survive and Save programmes. Each strand is being re-written to make them standalone, the programmes will be simplified, perhaps renamed and will be moved to online processing, which will be easier and quicker than the current procedure. The timed swim will be removed from the Bronze Medallion, costs will be reviewed and medallion and beach/open water courses will allow candidates to have reduced time off NPLQ/ beach/open water equivalent course. One aim of this is to retain lifesavers and lifeguards within clubs once qualifying, ultimately increasing membership and participation in lifesaving. There will be a transition period once the review has been completed to accommodate any refurbishments to current programmes. The Water Smart Award addresses the need for a national water safety standard, and is something that RLSS UK feels should be achieved by everyone in the UK and Ireland. The award has been approved by the Approval and Appraisal group, which consists solely of volunteers and may provide a good fundraising opportunity for BULSCA clubs. The audience for the award includes anyone who is seeking to raise water safety awareness, from the clubs themselves, leisure centres, schools and community groups such as Scouts and Cadets, the course is easy and straightforward. There is no specific age guidance, but the award is delivered according to candidate ability and provides a base level of water safety knowledge. 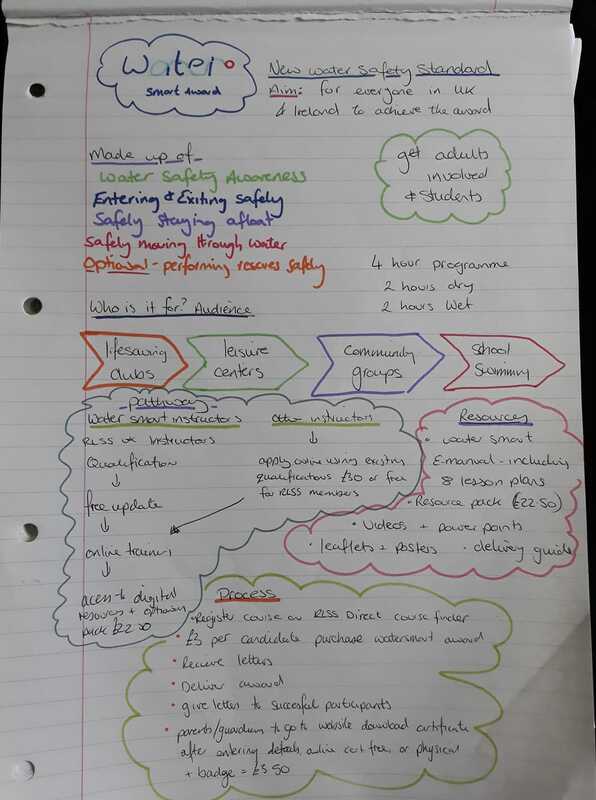 Joshua has composed an overview of the course which outlines the main details. 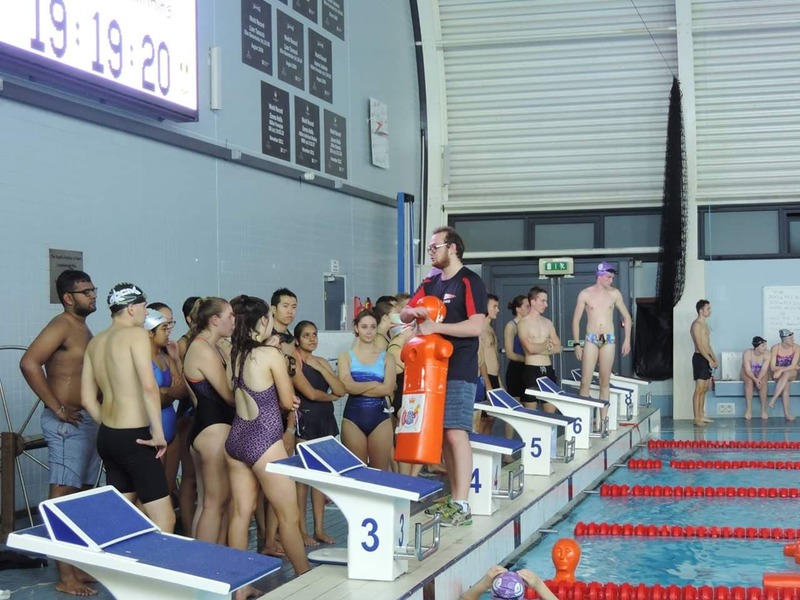 RLSS UK is looking at rolling out a new bench mark for clubs. Clubs view their success differently from one another and Club 2020 aims to support individual clubs with their individual goals and paths to success, without the tight regulations such as those with IQL. It will ensure that clubs have the correct products and resources to enable adaptation within their respective communities, and assist in overcoming each clubs challenges and identifying their opportunities. ‘Affiliated Club’ level is the minimum operating level which the RLSS expects of its clubs, where they can then move on to becoming an ‘Accredited Club’ once it can be shown that the club is running a safe environment for its members. There are further levels which clubs are able to achieve, each with set requirements such as appointing a trained safeguarding officer and having a constitution, and other requirements which can be adapted to suit the club and its aims. 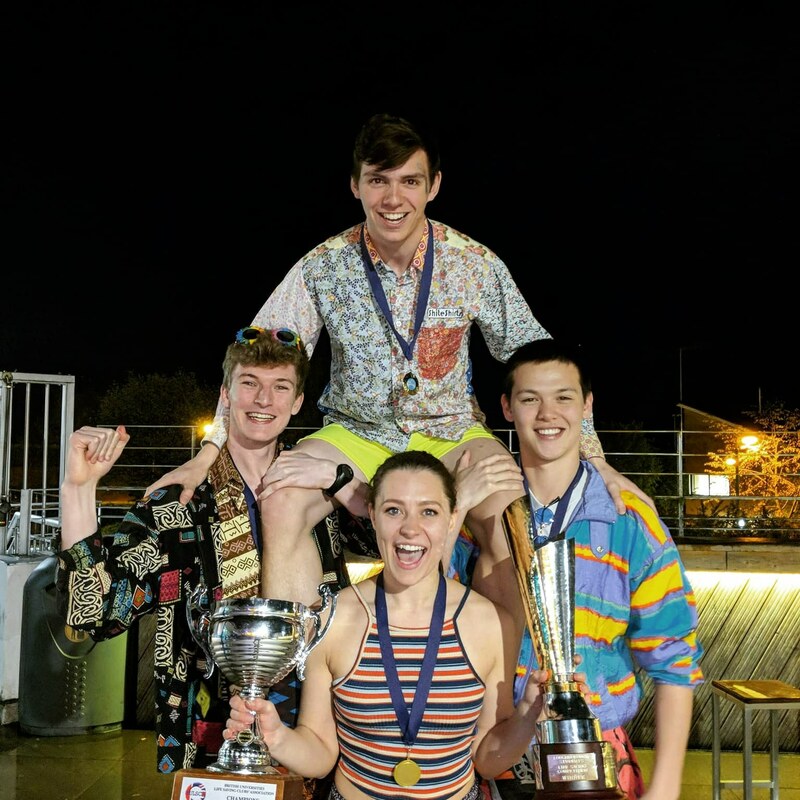 The BULSCA committee is in talks with headquarters on how this will apply to University Lifesaving clubs, as there are some small differences between them and other community clubs. The Club 2020 matrix will assist in the creation of new Lifesaving clubs. Andrea Roberts is currently working on reviewing RLSS UK membership and would like as many people to have an input as possible. 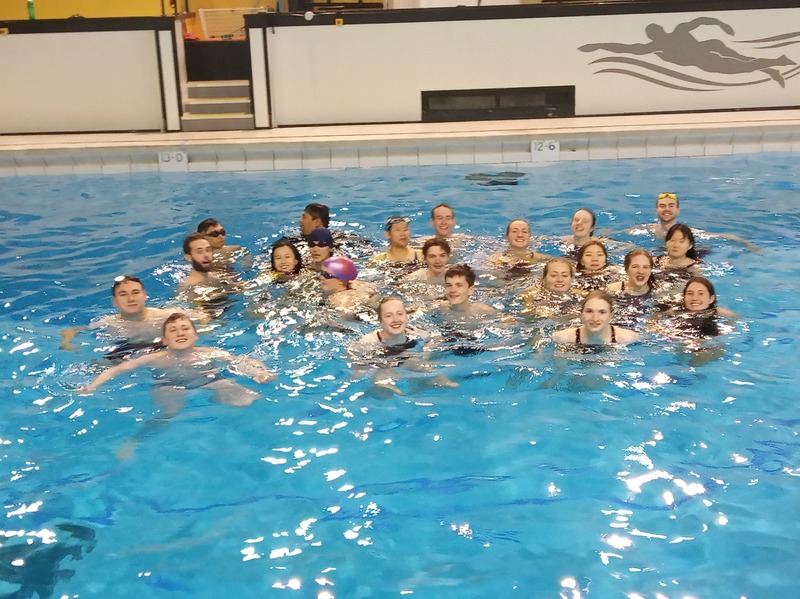 As part of the review, Andrea would like opinions on what members use their RLSS UK membership for, why it is important for them and what more they would like to see from the RLSS as a member. If you are interested in participating in the discussion, there is a Facebook group where you can get involved in the discussion. It is useful for clubs to have contacts with their local media outlets, as well as local RLSS UK branches and other community clubs within the area in order to improve recognition of both the work and activity the club carries out and also spread the message of drowning prevention further by working with others. Events and campaigns will raise awareness as well as increase involvement in activity. Ensure your Universities and Student Unions know what you’re getting up to! If your activity is more community focused, let your other local media know and perhaps reach out to other clubs within your area to widen involvement. Don’t be afraid to contact your local branch or RLSS UK HQ for some help with producing an article, or accessing contact information for local media. If you are running a campaign within your University and/or local area, ensuring a consistency in messaging will help to gain traction and assist in increasing the reach of your messaging. If you have any questions about RLSS conference, please do not hesitate to contact the BULSCA committee. As mentioned previously, we will endeavour to provide presentations which were delivered if possible when they are made available to us, however we hope that this article provides the most relevant information to BULSCA clubs. 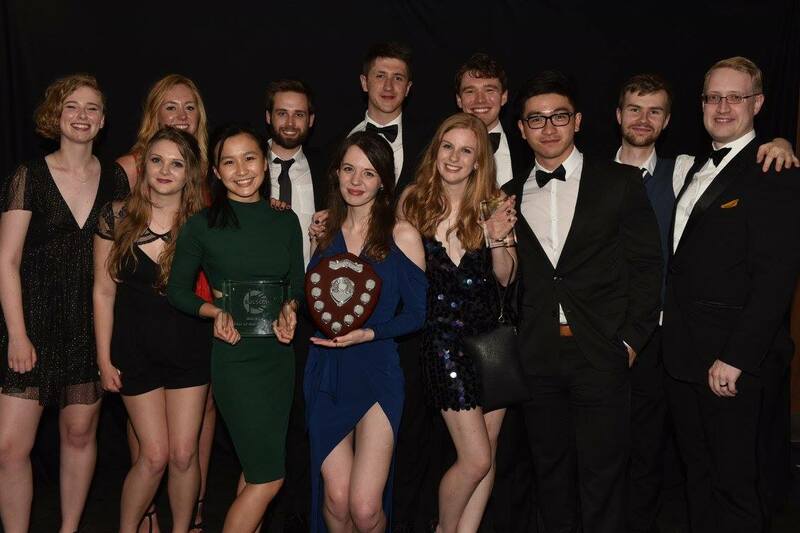 BULSCA Club of the Year - awarded to the club which has shown commitment to promotion of Lifesaving both within the University and wider community. BULSCA Volunteer of the Year - awarded to an individual who has shown unrivalled commitment to Lifesaving and promoting Lifesaving activities within their club, branch and region. This individual has made a significant impact in Lifesaving. BULSCA Lifesaver of the Year - awarded to the BULSCA Lifesaver who has shown exceptional achievement in the field of Lifesaving. Individuals within BULSCA were given the opportunity to nominate fellow Lifesavers and clubs for each award. 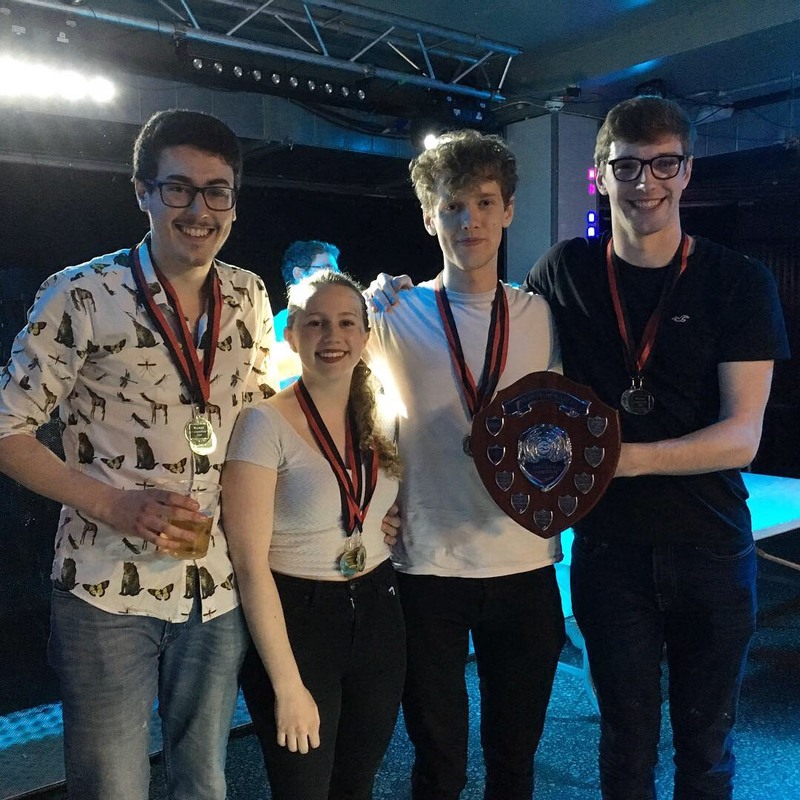 Nominations were reviewed and voted on by either the committee, or the clubs themselves, and the awards were presented to the winners at the end of Loughborough competition, marking the end of another successful competitive season of BULSCA Lifesaving. 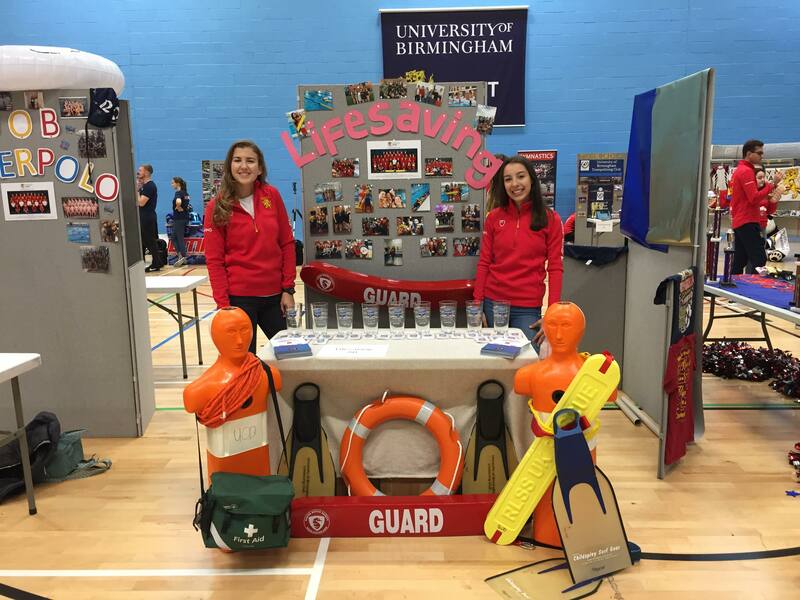 Over the last month, BULSCA Lifesaving clubs across the country have attended their University Welcome Fairs and Sports Fairs. 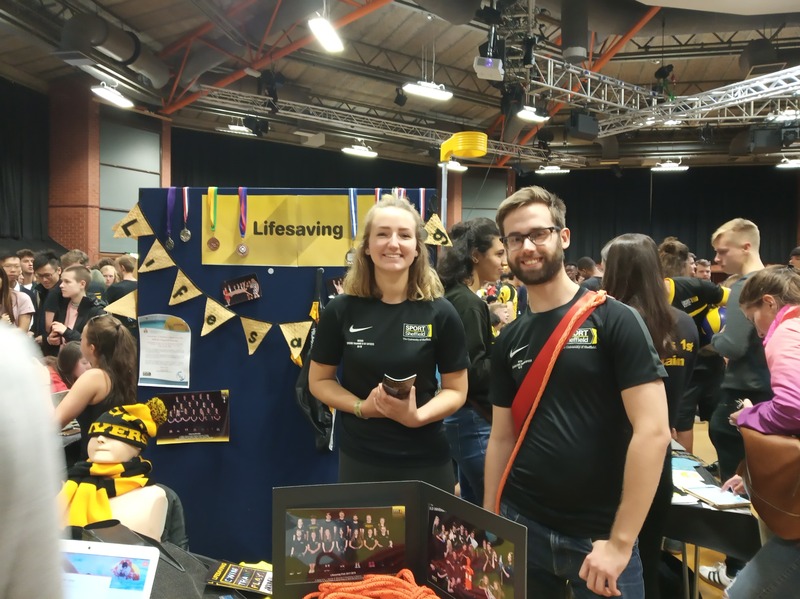 These events are an opportunity to provide information to new and returning students about Lifesaving, answer their questions and persuade them to give the sport a go! Whether its sport, first aid only or just a new social group to meet up with, Lifesaving has something for everyone! 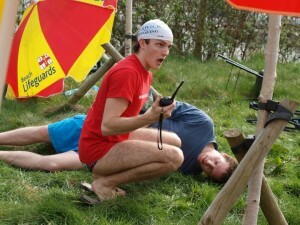 Each Lifesaving Club within BULSCA has something different to offer their members, but usually all are able to provide an opportunity to work towards gaining and maintaining a lifesaving and/or lifeguard qualification, such as the National Pool Lifeguard Qualification (NPLQ) and awards from the Royal Lifesaving Society (RLSS) Survive and Save series. These awards have enabled many students to go on to work at summer camps in the USA, securing part time work as a lifeguard whilst studying during term time (or a full time lifeguarding job during the holidays) and also provides paid and volunteering opportunities at large sporting events and music festivals. 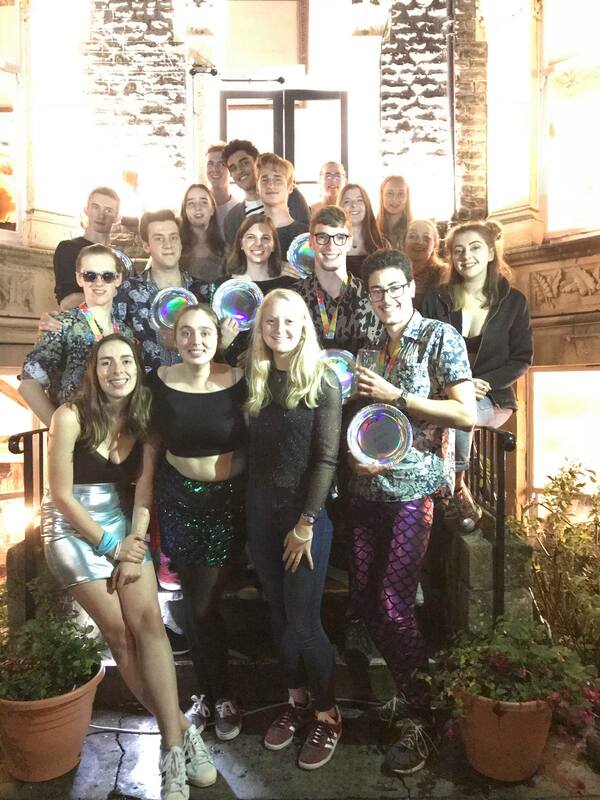 Many clubs get involved with community outreach work within their local area and also within the Universities themselves, by collaborating with other student clubs and groups. There is a range of outreach work that can be carried out, whether it is teaching someone how to save a baby's life or how to carry out basic first aid at work. For some members, their main focus is on the community side of Lifesaving and spreading the knowledge of how to help another person in an emergency situation. Finally, the key focus for most clubs is the sporting element. 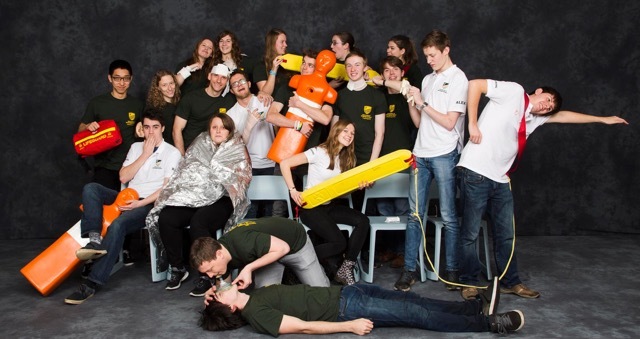 At BULSCA competitions, club members compete in teams of 4 to showcase their first aid and rescuing abilities as a cohesive team before having a bit of fun with a variety of speed based swimming events, with a lifesaving twist of course! 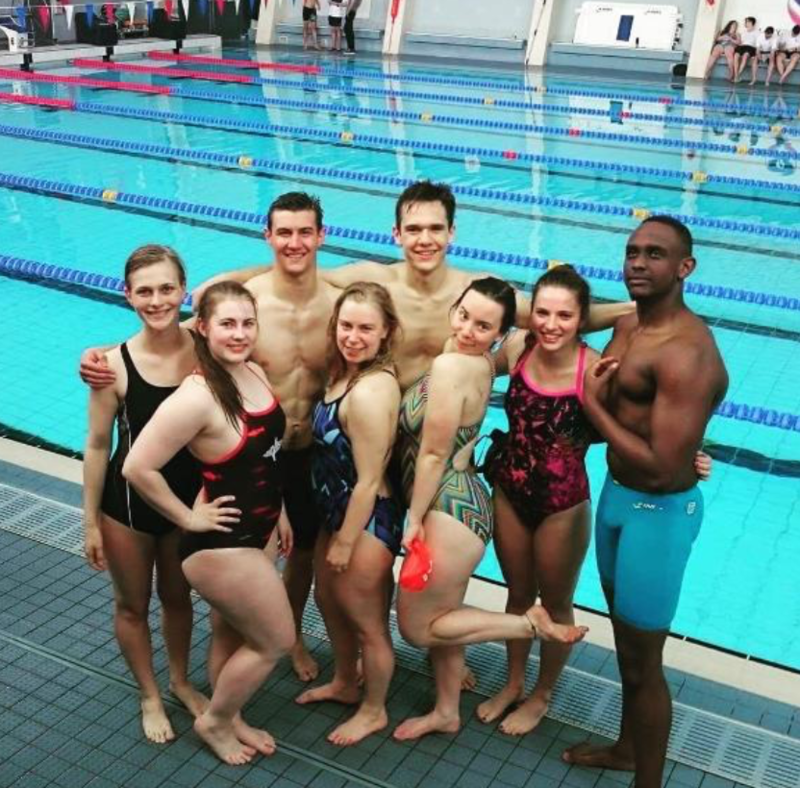 Attending competitions is a great way to meet people from other Universities, expand friendship circles and results in a fun weekend for all involved. Many members choose not to compete, but instead come along to the competition as a helper - usually to act as a casualty in a SERC (Simulated Emergency Rescue Competition) and socialise with the rest of the Lifesaving community. 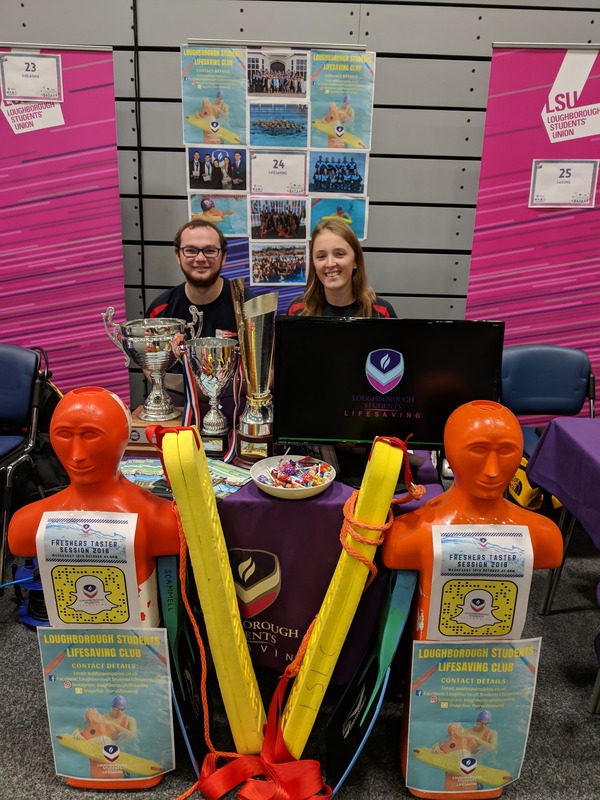 Here are some of the stalls put together by clubs at their University Fairs, if you are a University Student and interested in Lifesaving, follow the links to the club pages or visit them on Facebook! Clubs not listed here can be found on our Find A Club page. 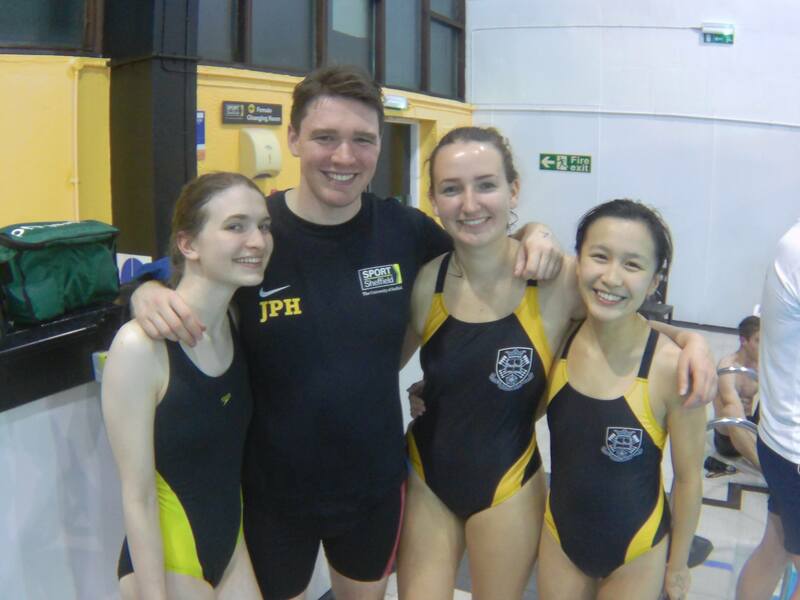 With the first league competition of the year fast approaching, clubs will be well underway with training up new and old members to ensure that everyone is prepared to compete, and prepared to have lots of fun doing so! 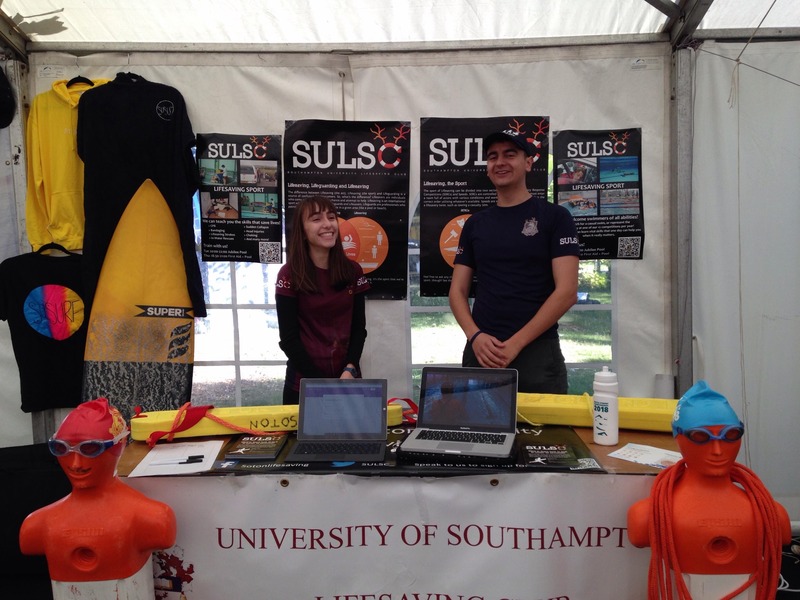 After the University Welcome and Sports Fairs (read about those HERE), clubs hold several taster sessions in the fist couple of weeks of term. These sessions are designed to give potential new members an idea of what we do in Lifesaving, and what they can learn over the year if they decide to join. 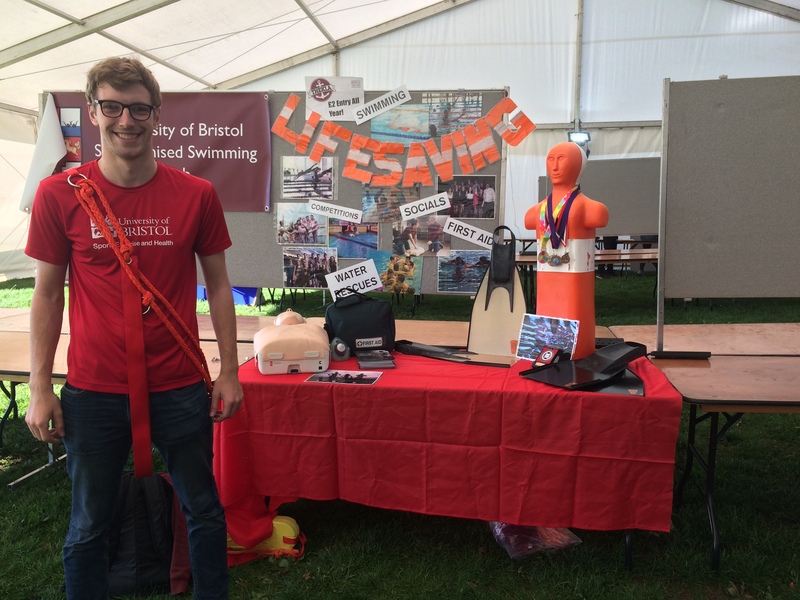 For the clubs, it is one of the best opportunities they have in the academic year to showcase Lifesaving as a sport, a social group and a valuable life skill and encourage new members to join the club and attend sessions regularly. 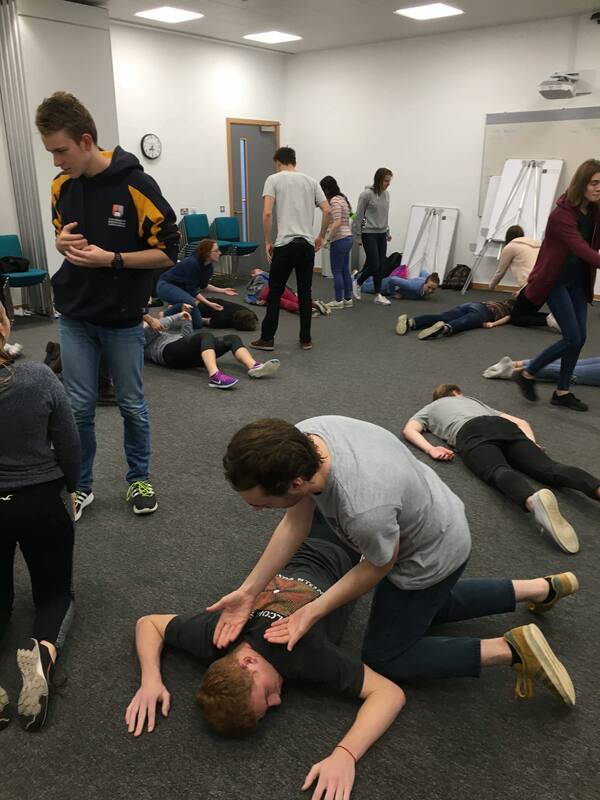 Taster sessions vary from club to club, but generally include 'a little bit of everything' and try to provide everyone who attends some new first aid and lifesaving knowledge, even if they decide not to join for the year! Skills can include rescuing someone who is panicking by using a reach rescue, where the lifesaver remains on the side of the body of water and uses an aid (such as a pole or stick) to pull the panicking swimmer to the side, or throwing rescue, where a buoyant aid can be thrown to a swimmer in the water which they can then grab a hold of and use to assist themselves to safety. 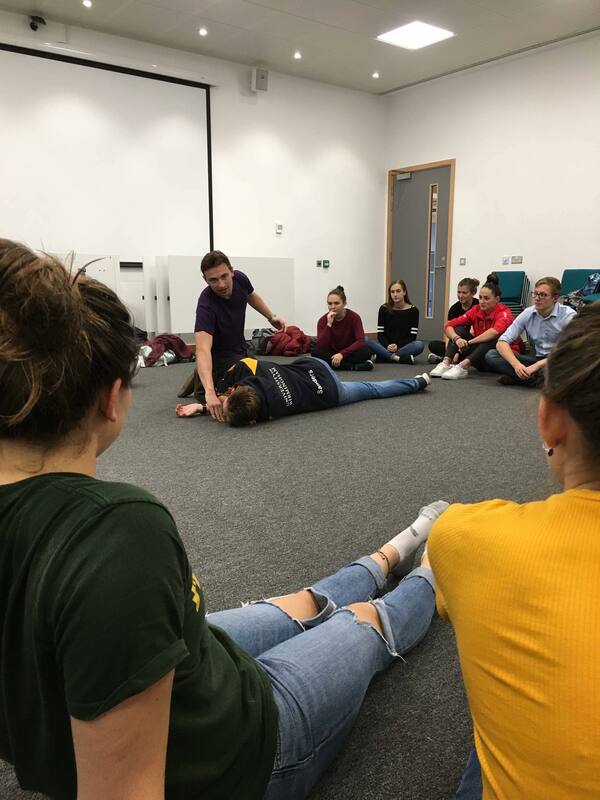 In terms of first aid skills on land, the recovery position is a quick and easy skill to teach, but also extremely useful to know in day to day life! This also teaches students how to assess if an unconscious person is breathing, and when it is appropriate to call for an ambulance. It is never too late to join a Lifesaving Club near you! Find your University and Lifesaving contact HERE! The first league competition of the year was held on Saturday 10th November, and the long awaited results have been finalised! 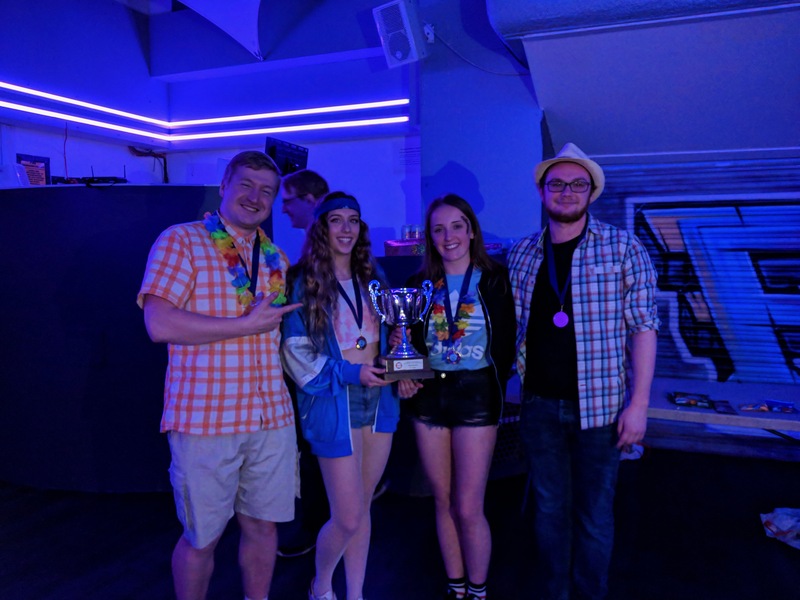 The fist competition, otherwise know as the Fresher's competition, was organised by and held at the University of Bristol. 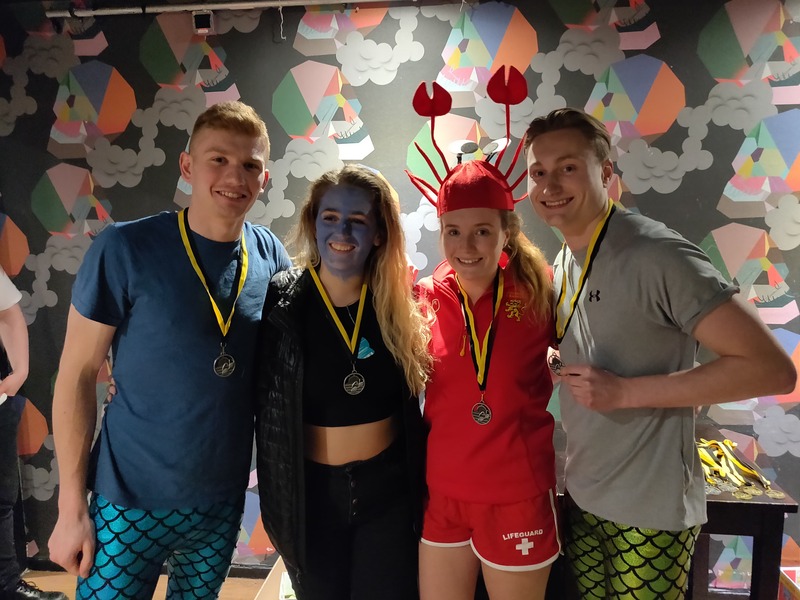 At the Fresher's competition, fresher's teams are encourage to compete and count towards the BULSCA B league - these teams must consist of at least 3 members who are new to lifesaving and must have at least one male and one female member. The day started as normal - with teams heading to isolation and judges and helpers collating at the Student's Union where the SERCs and speed events were held. After everything was set up, the first teams were sent up to officially begin the competition season! The dry SERC was set at Leigh Delamere Service Station on the M4, and included an unconscious non-breathing casualty with a hidden grape inside their mouth, unconscious breathing casualty, someone with glass in their hand, a hypoglycaemic diabetic, a panicking casualty and a Costa manager who broke their wrist. The phone proved a challenge to find in this scenario, with only 7 out of the 36 teams successfully obtaining the phone off Heidi and making a phone call! Loughborough D came out on top with the highest number of points in this SERC, followed by Loughborough F in 2nd and Sheffield A in 3rd place. 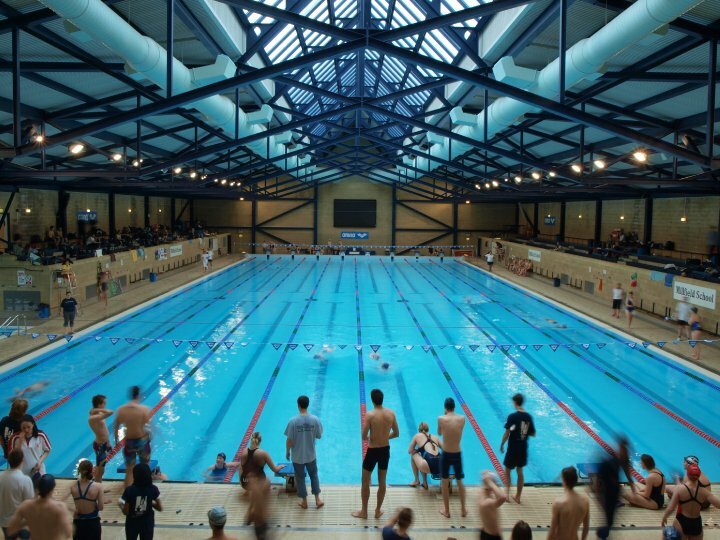 After the dry SERC, teams made their way down to the aquatic SERC. This SERC was set in a marine lake, where the team were called in as back up lifesavers to help with the safety cover for the public using the lake. Another volunteer lifesaver was able to help with the casualties once they were on land, which included locked swimmers, 2 non-panicking swimmers, one suffering from a heart attack, an asthmatic and a swimmer panicking about his friend, who was an unconscious non-breathing casualty under the water. There was a lifeguard hut in the SERC, where the teams would be able to find a landline phone, mobile phone, first aid kit and the other lifeguard who was unconscious and not breathing. After excellent prioritisation and scenario control, Bristol C achieved 3rd place, Loughborough A received the highest 'overall' judge marks and came in 2nd and Bristol A came in 1st place after demonstrating their range of skills all-round. The third event of the day was the rope throw relay, which proved to be a challenge for many, with only 4 teams managing to get all 4 members in without penalties. Warwick A showcased their throwing skills after coming 1st in this race, followed by Birmingham A in second and Loughborough A in third. The final speed event of the day was the obstacle relay, where lifesavers must dive under a gate in the middle of the lane, but is otherwise a 4x50m sprint! Loughborough A fulfilled their need for speed, coming in first place, followed by Swansea B in 2nd and Loughborough B in 3rd. 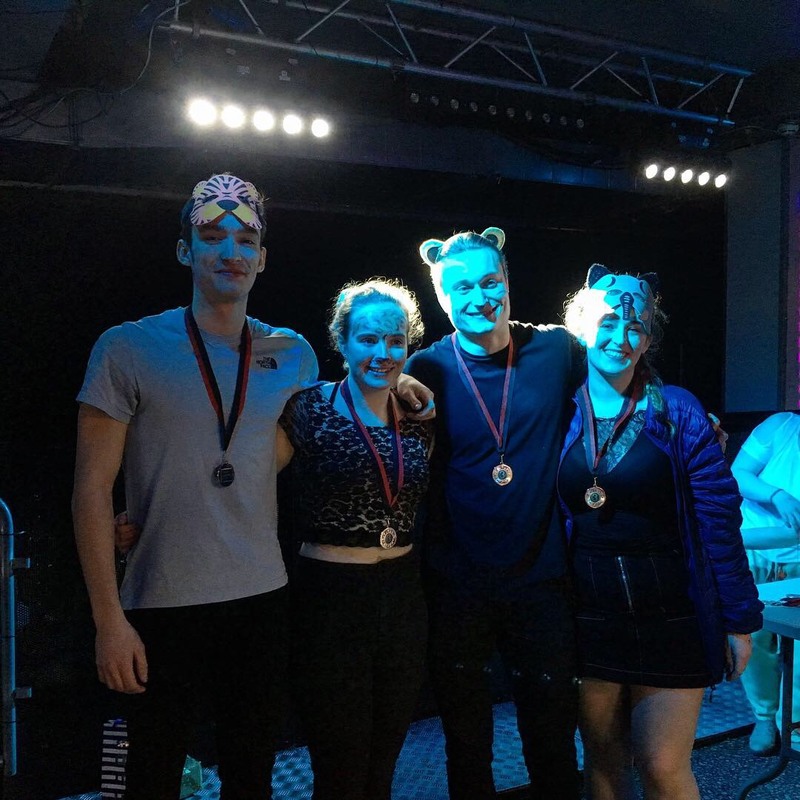 The top 3 from each league received medals - congratulations to all and special congratulations to the freshers who competed, we hope to see you back at the next competition! The full results and break-down of SERC marks/ speed times can be found HERE! Another congratulations to all teams who competed, it's great to see all returning lifesavers again and amazing to welcome so many new faces to the BULSCA community! Also many many thanks to all the helpers and officials, who it would have been impossible for the day to run so smoothly without, and to Bristol for organising and running a fantastic competition and all round great weekend. 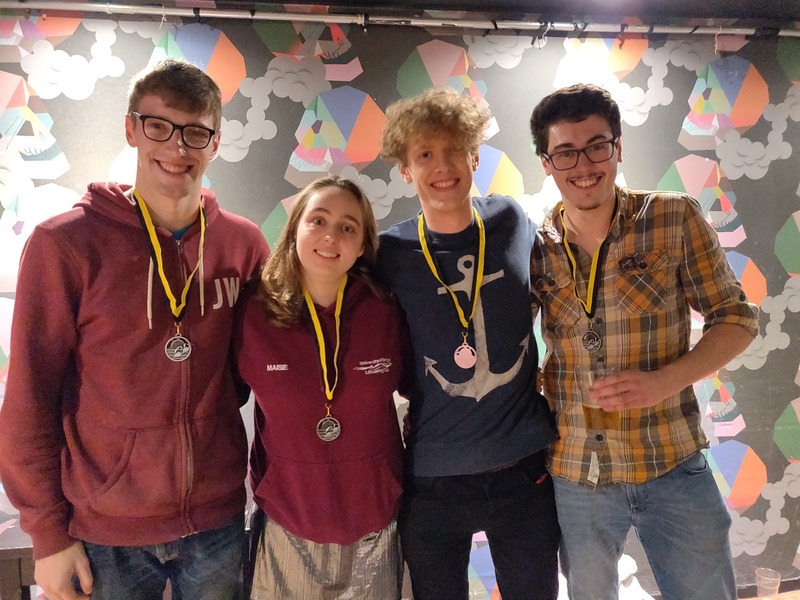 Warwick University held the 4th BULSCA League competition of the academic year on Saturday 9th February. 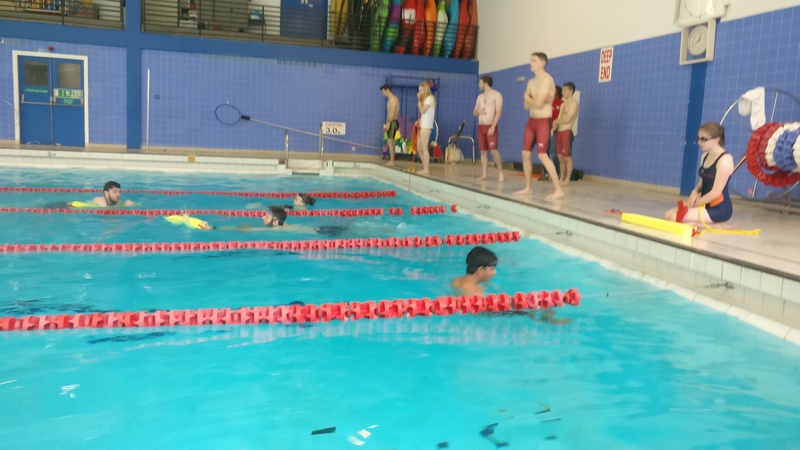 25 teams of 4 competed, with the order of the day as standard - teams competed their way through a dry and aquatic SERC, rope throw relay, medley relay and swim and tow relay. In the dry SERC, Bristol A scored the highest number of points, Warwick A second most and Birmingham A third most points. Bristol B scored the highest marks from the overall judge, followed by Keynsham A, Birmingham B and Warwick A. 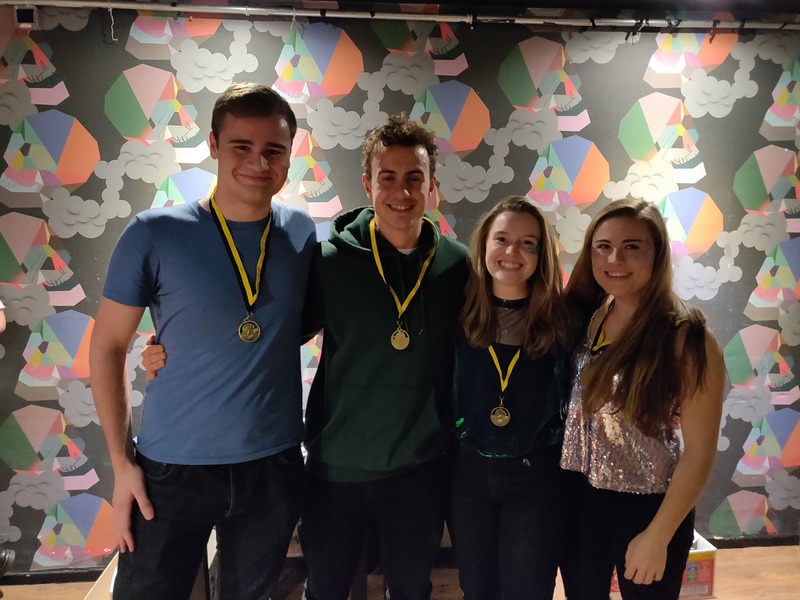 In the wet SERC, the Birmingham/Loughborough hybrid team came in 1st, Bristol A in 2nd and Birmingham B in 3rd, who also scored the highest number of points from the overall judge. Only 5 teams successfully made a phone call, with Birmingham/Loughborough A scoring the most points for the phone. Bristol B came first in the rope throw relay, with a time of 1:37.92. Warwick A and Birmingham A tied in 2nd place with a time of 1:39.87. A total of 8 teams finished the relay with all 4 team members in without penalty. In the medley relay, Loughborough dominated the podium with their A team in first with a time of 1:50.07, B team in second with 1:55.56 and D team in third with a time of 1:56.87. 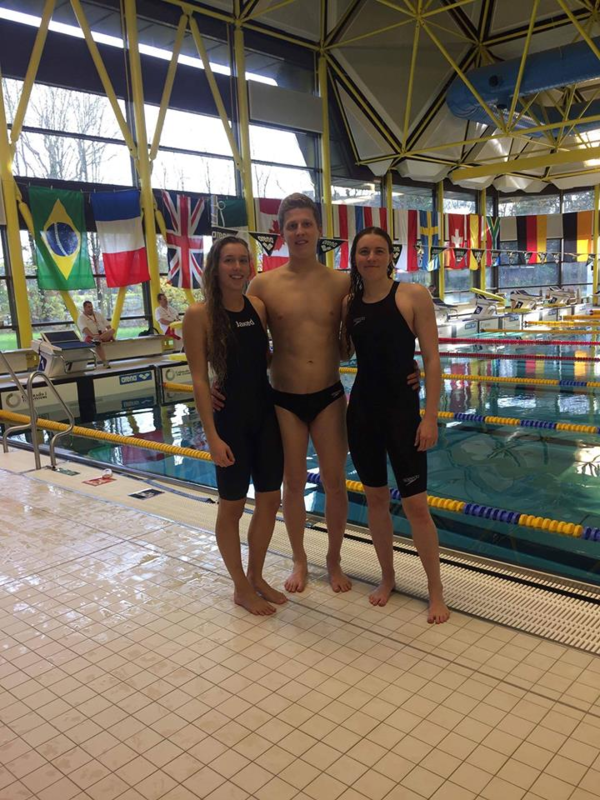 In the swim and town relay, Loughborough A came in first again with a time of 6:12.16, Warwick A followed in second with a time of 6:34.81 and Loughborough B in third with a time of 6:39.63. The full results, with all overall places can be found on the results page. Thank you to Warwick for organising another great competition, and thank you to all judges and helpers who helped make the day run smoothly!